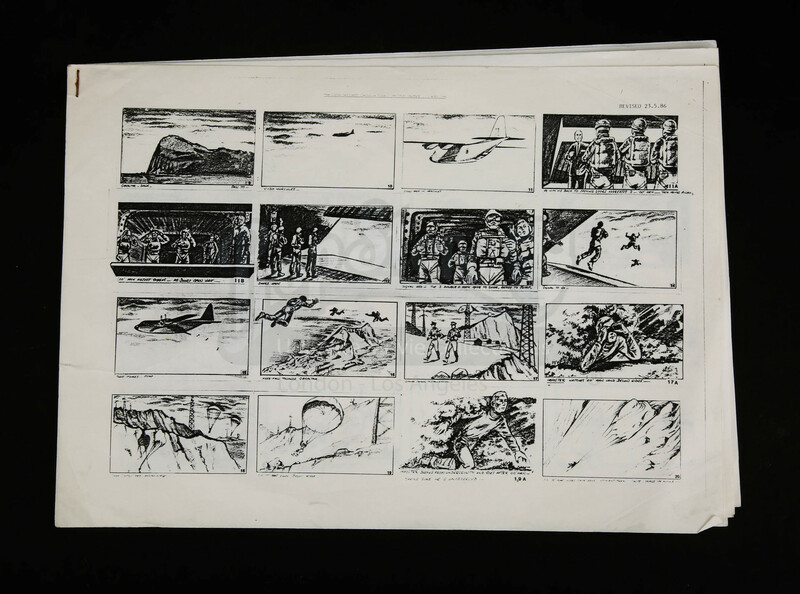 A series of production used storyboards from the 1987 James Bond movie The Living Daylights, which was the fifteenth in the series. 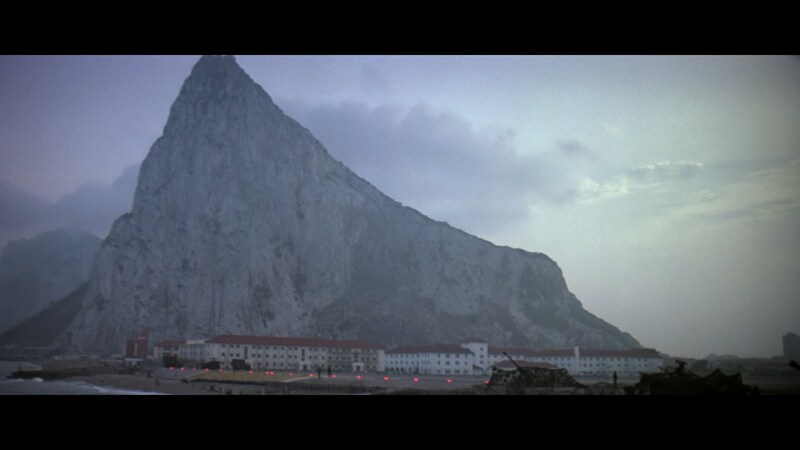 Bond (Timothy Dalton) teams up with Czech cellist/assassin, as well as the Mudjahideen, to take down a massive drug smuggling operation led by a Soviet general. 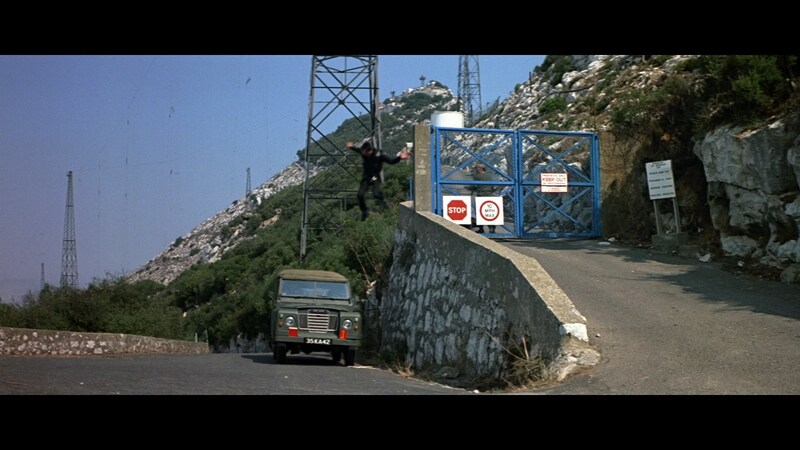 This set of storyboards charts the opening scene, when Bond and other agents parachute down to Gibraltar on a training exercise, but it is disrupted when one of the agents reveals himself to be the enemy and steals a truck of explosives, which eventually explodes as it goes over a cliff. 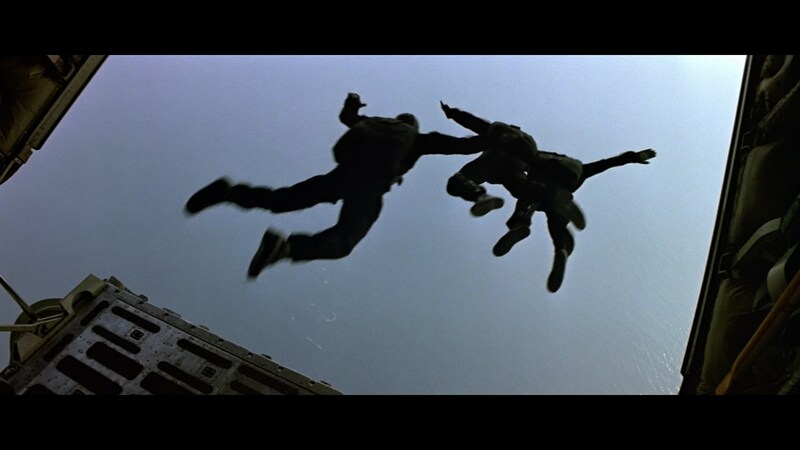 The storyboards map out this sequence fairly accurately. 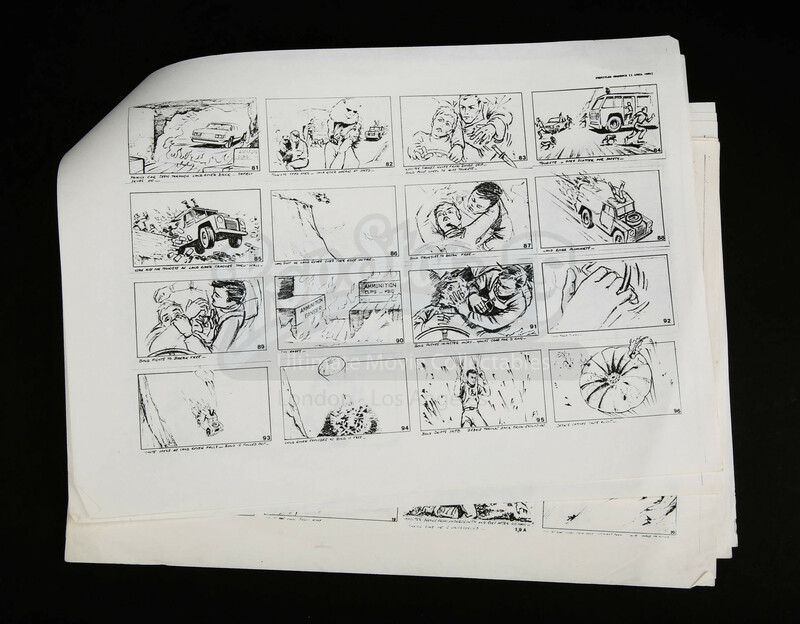 The set consists of seven A4 pieces of white paper stapled together, each of which have small storyboards and short descriptions on. 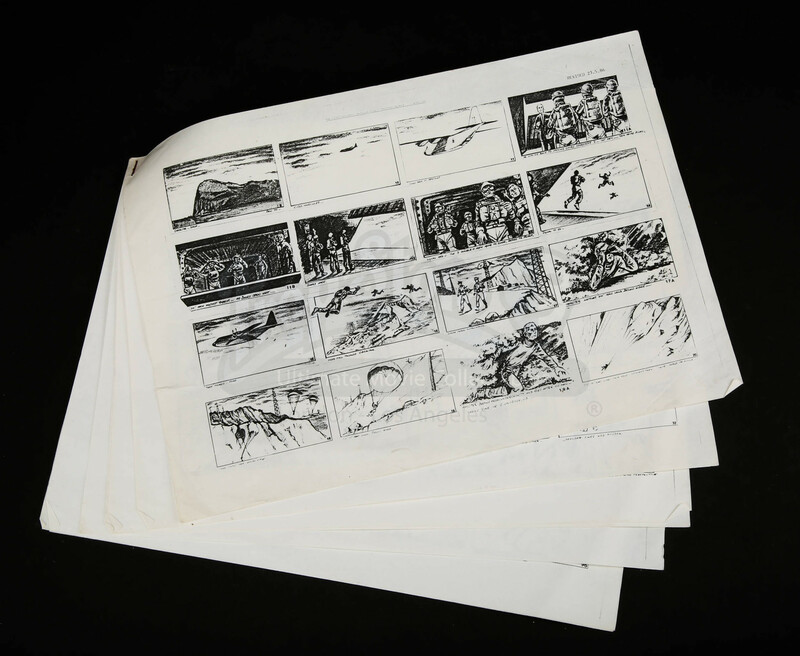 Dated ‘23.5.86’ the storyboards have some wear from production use, storage and age, including creasing, curled corners and some discolouration. 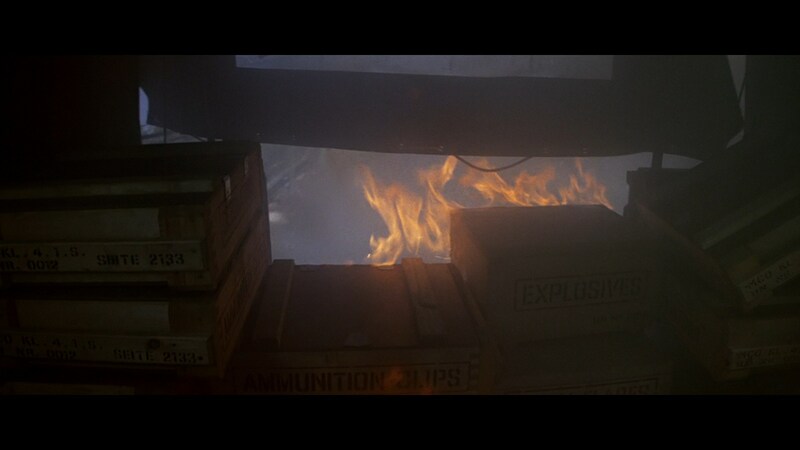 Despite this the set remains in a good condition.